First 20 ladies in the door Friday and Saturday Night as always get two free cocktails. That’s right guys. Were packing the house with ladies. 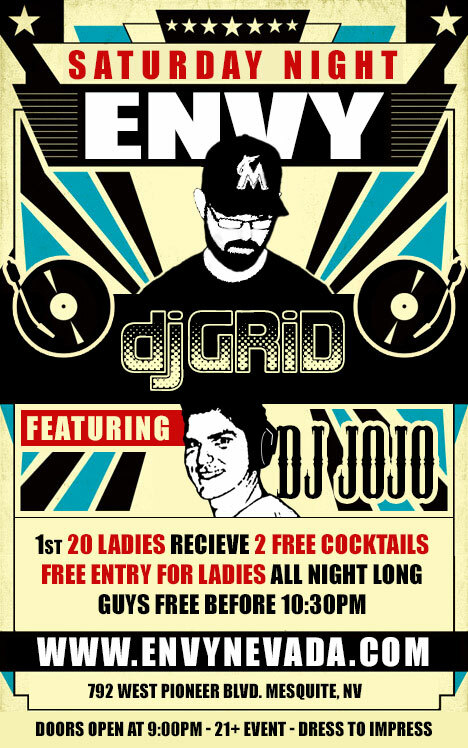 ~~SATURDAY NIGHT~~DJ GRiD and DJ JoJo return to Envy Nightclub and Huka Lounge. Mixing all your favorite dance / top 40 / hip hop to keep the crowd moving. NO COVER LADIES, Guys FREE before 10:30PM!! !